I have been spending hours and hours talking about and thinking of the Kindle and the Nook recently. I know I promised myself that I wouldn’t buy any new gadget for the rest of the year, but the impending (major) change in my lifestyle is prompting me to take a good look at e-book readers. As I always am when obsessing over a gadget, I have been reading up on the Kindle and the Nook a lot. 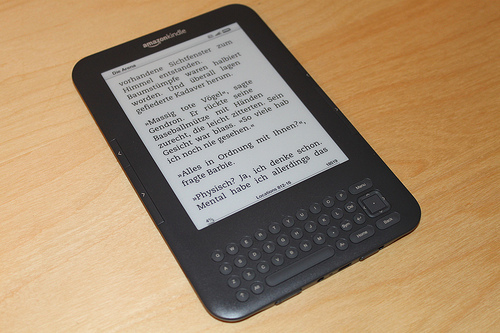 Today, I just learned about a new format that Amazon is introducing for the Kindle. Dubbed Kindle Singles, these e-books are going to be shorter and cheaper than is the current norm. What prompted this development is the fact that content does come in varying lengths. Just like in traditional print, books can be thick novels, really thin paperbacks, or even pamphlets. In Kindle terms, e-books can come in the form of long novels, short stories, magazine articles, blog posts, or even Twitter updates. Materials that are going to be labeled Kindle Singles are going to be anywhere from 10,000 words to 30,000 words. In terms of traditional print, this would be around 30 pages to 90 pages. The really good news is the pricing structure will be more attractive to consumers. For now, the new section of the store is not yet up and running, but with the official announcement having been made, we should see it pretty soon. While I am not a Kindle owner as of yet, I consider this development as a plus point for the device. Now for some advice…which e-book reader would you recommend that I get? I think the important thing, as you allude to, is to get the pricing structure right for these shorter publications. If cheap enough, they’ll sell shedloads of them. I’m obsessing about whether to buy a Kindle just now as well although I have noticed that Costco here in the UK have the iRiver for a good price – so I’ll have to do my homework on both.